Tenet Healthcare saw a healthy spike in ambulatory segment revenue during the second quarter, but it was offset by lower hospital sector revenue. The Dallas-based for-profit hospital chain's net income totaled $24 million in the quarter, up from a net loss of $56 million in the prior-year quarter. Net operating revenue fell 6.2% to $4.5 billion during the quarter compared with the same period in 2017. The company's ambulatory segment posted same-facility revenue growth of 6.9%, with cases up 4.3% and revenue per case up 2.4%, which is in line with strong ambulatory growth Tenet has seen in recent quarters. Surgical revenue, which accounts for the majority of Tenet's ambulatory revenue, rose 6.6% on a same-facility basis, with cases up 3.4% and revenue per surgical case up 3.1%. Overall, Tenet's ambulatory segment produced net operating revenue of $531 million during the quarter, compared with $472 million in the second quarter of 2017. Tenet in April upped its ownership stake in ambulatory surgery center chain United Surgical Partners International to 95% in April for $630 million. Meanwhile, the company is working to sell its revenue cycle management business, Conifer Health Solutions. Revenue in the Conifer segment fell 3.5% in the second quarter year-over-year, which Tenet said was primarily due to divestitures by Tenet and other customers. In Tenet's hospital segment, net operating revenue slid 8.6%, to $3.73 billion during the quarter. Tenet's same-facility net patient revenue in its hospitals grew 3.2% in the quarter. Admissions decreased 2.3%, and adjusted admissions decreased 0.2%. Meanwhile, revenue per adjusted admission increased 3.5%. Adjusted earnings before interest, taxes, depreciation and amortization totaled $634 million in the quarter, compared with $570 million last year. Adjusted EBITDA in this year's quarter consisted of $345 million from the hospital segment, $198 million from the ambulatory segment and $91 million from Conifer. Tenet CEO Ron Rittenmeyer said in a statement that this is the third consecutive quarter in which the company has posted strong financial results. "We have demonstrated our ability to appropriately minimize costs, which will be an ongoing fundamental part of how we do business," he said. "Our top priorities remain strengthening our portfolio, delivering more consistent organic growth and taking additional steps to enhance our margins and free cash flow." 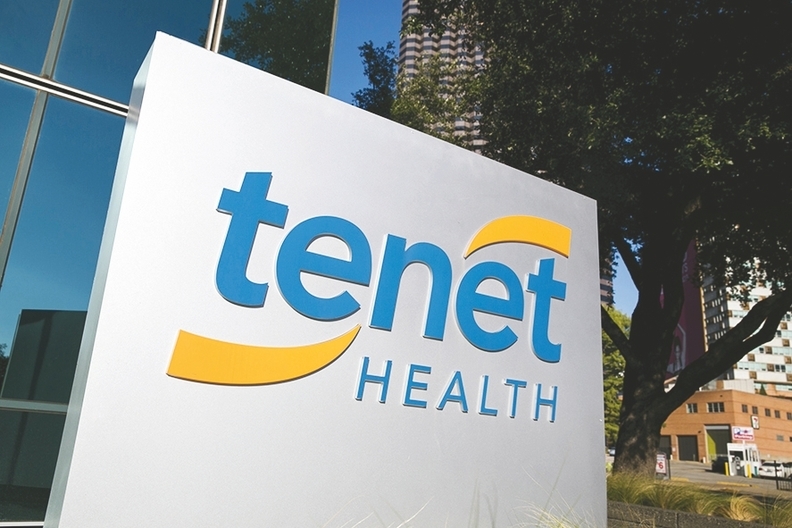 Tenet bumped up its net income outlook for 2018 on the second quarter performance, from $115 million to $186 million.